Mulch does not cause termites, but if termites are already present in an adjacent structure, it can give the insects a chance to tunnel in the mulch. The best way to prevent termites is to make sure that water drains away from the foundation and to have annual treatment by an exterminator. A proper chemical barrier will stop termites from entering the home. 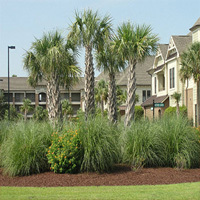 This mainly depends on the area where the mulch is to be applied and the type of plants to be mulched. 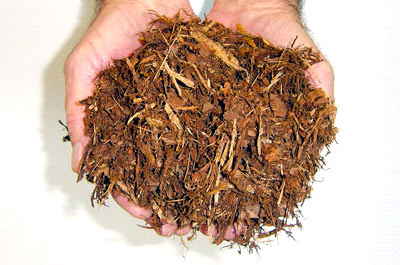 Areas that are wet and poorly drained should use coarser or loose mulch such as pine nuggets, mini chips or colored mulch that will allow air movement. 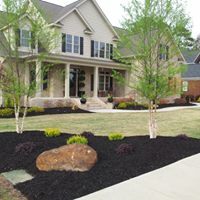 Dry, sandy areas should use the finer ground mulches such as triple-shredded pine and shredded hardwood bark because these mulches will retain moisture. 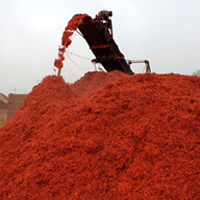 Areas that have steep slopes or are wash areas should use shredded mulch. Mulch should be applied 3 to 4 inches deep. For best results, re-apply once or twice per year. 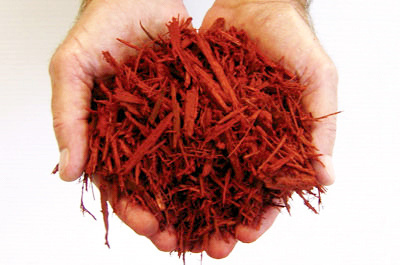 Our non-toxic red mulch will retain its vibrant color for up to one year with proper installation. 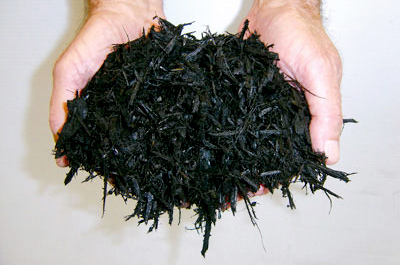 Our non-toxic chocolate mulch will retain its vibrant color for up to one year with proper installation. 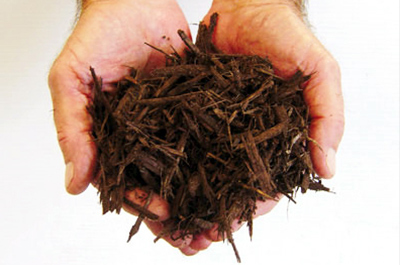 Workable mulch, ideal for acid loving plants and shrubs. 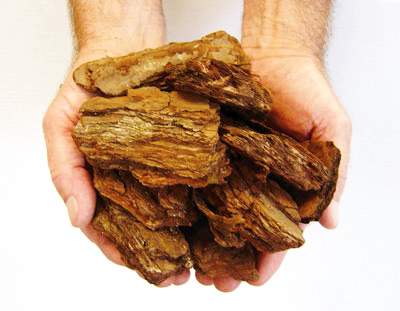 Enhance your plant beds with our pine bark. These quality fines are easy to work with and sized from ½″ and under. This product is ideal for all plants, especially acid loving plants such as azaleas, and can also be used as a soil amendment. Long-lasting golden color with lower moisture retention. 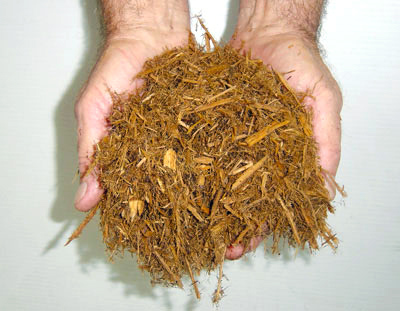 Our 100% cypress mulch is double-ground from cypress logs, delivers long-lasting golden color and retains less moisture than other mulches. Uniform, quality ½" to 1½" mini-chips. Uniform, quality 1½" to 3" mini-chips. 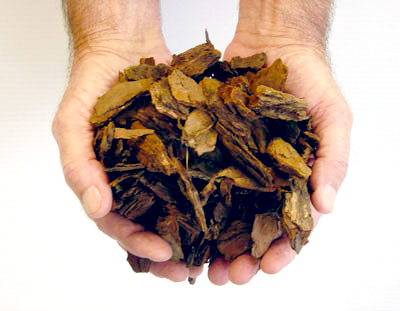 Uniform ½″ to 1½" sized mini-chips and 1½" to 3" sized nuggets retain less moisture than pine bark mulch, which helps control weed development and maintain soil temperature.